Bring your rugs and their colours back to life by giving them a professional clean. Restore your soft furnishings, removing spills and other soiling. We’re members and accredited by Checkatrade and the NCCA (National carpet cleaning Association) This means, we adhere to and work to strict standards to ensure that all clients get a thorough professional clean. You will get a FREE no-obligation quote and advice – so call us today! 100% satisfaction guaranteed or your money back, every cleaning company should be fully accountable for its work. If you aren’t happy… we aren’t happy. 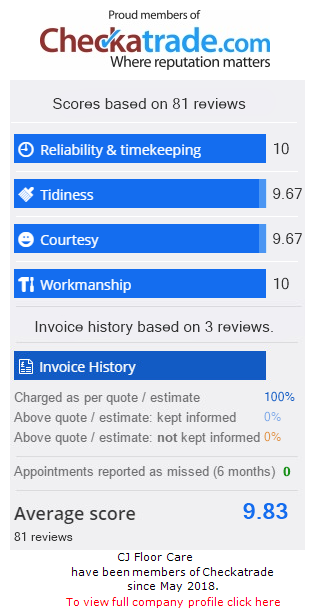 We’re a family-run business, dedicated to giving you a great customer experience, every time, we give you the wow factor to your carpets and furnsihings. Regularly attending training seminars, keeping up to date with the latest techniques along with a friendly, courteous and professional attitude to give you one of the best possible services. WE CAN HELP YOU TO RESTORE TO LIKE NEW! CJ Carpet cleaning and restoration services can revive your tired looking carpets, rugs and upholstery and we even clean mattresses all to a very high standard. 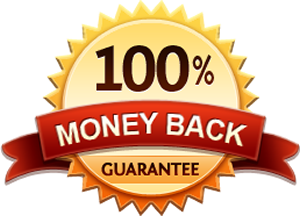 We’re so committed about the work we do that all our work is backed by our personal 100% Money Back Guarantee. If for any reason you are not satisfied with the work we have done for you then you can have your money back! DEEPER CLEAN THAN PORTABLE MACHINES! Using our powerful Van-Mounted Chem-tex cleaning machine, gives you a far deeper clean than portable machines. Cleaning your carpets at 110 Degrees Celsius (Steam cleaning) means not only is the most stubborn dirt removed but it also kills 99.9% of Bacteria and dust mites leaving your carpets hygienically clean. This high heat combined with a powerful vacuum means rapid drying times. Our machine is bolted into the back of the van. All water used during the cleaning process is supplied from the clean tank and then recovered back into the dirty water tank which means no bucket filling or pouring dirty water down your sink or toilet which is what happens with portable machines. Our machine has its own 25hp unleaded petrol engine. So we don’t need to run it off your electric, bumping up your electric bill and putting a strain on your supply. THIS MEANS WE ARE INSURED ON THE ITEMS WE CLEAN, AND ITEMS IN YOUR HOUSE, GIVING YOU PEACE OF MIND. First the carpet is slowly vacuumed with a powerful upright vacuum cleaner, removing as much hair, debris and dry soil as possible. The carpet is then sprayed with a cleaning solution to help break down the dirt and soils. The type of solution used depends if the fibres are wool or synthetic, and the levels and type of soiling. The solution is then mechanically worked into the carpet, allowing it to work deep into the pile, also pulling out sock fluff, and hair which is tangled in the fibres. 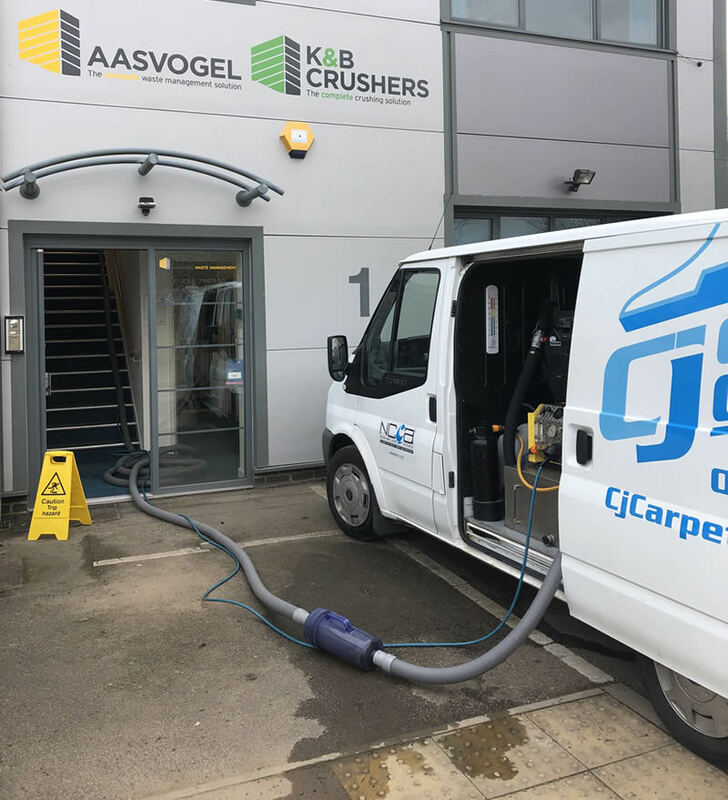 The carpet is then ‘rinsed’ with plain water using our powerful van mounted extraction machine (steam cleaning) to remove the cleaning solution, dirt, sock fluff, hair ect. The high heat generated also kills 99.9% of bacteria and dust mites. Leaving your carpet fresh and clean, meaning they’ll stay cleaner for longer. Because we care about your carpets, we ensure wool carpets are pH balanced. If any spots and stains are not removed during the cleaning process, speciality-spotting techniques are employed. Were members and accredited by the NCCA ( National carpet cleaning Association) which means we adhere to and work to strict standards to ensure that all clients get a thorough and professional carpet clean in Oxfordshire. We always arrive in, and wear uniform. Attend regular training programs and are supplied with the latest kit and to ensure that each job is done to perfection. Our products are pet and child safe and we only ever use wool safe products on wool.